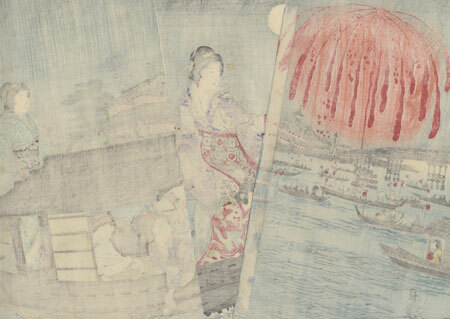 Comments - Striking illustration of the great fireworks display above Ryogoku Bridge on the Sumida River. An enormous explosion fills the evening sky with orange light and a shower of red sparks. 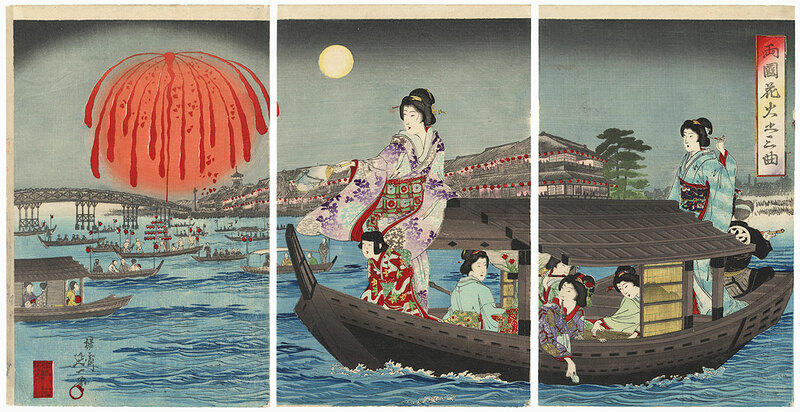 Beauties watch from a pleasure boat at right, one woman gesturing with her fan as a young girl at her feet laughs with delight. In the cabin, three women play the shamisen, koto, and kokyu in a sankyoku or "three instrument" ensemble. Another beauty leans over to rinse her cup in the flowing water, her kimono sleeve carefully held between her teeth to keep it from getting wet. A soft pink light glows from the windows of the teahouses lining the river, with red paper lanterns adding additional color. 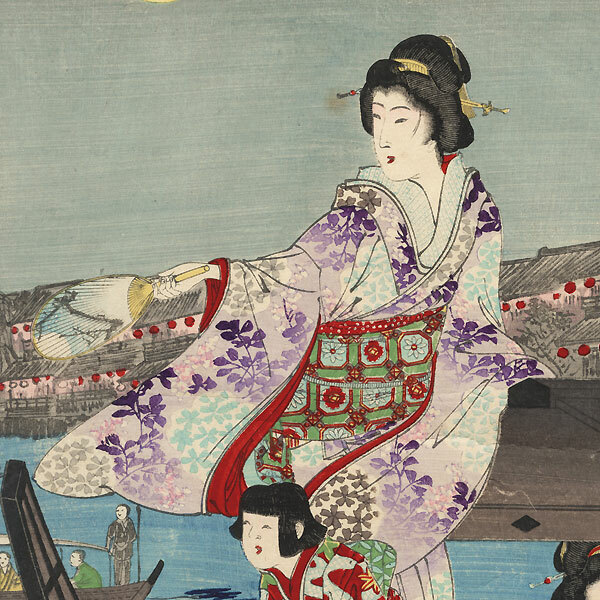 Beautifully colored, with soft shading in the sky and burnishing on the black side of the ship and the black kimono at right. A great image of this favorite summer pastime. Condition - This print with excellent color and detail as shown. Three separate panels. Slight thinning at corners, a couple small holes, repaired. Slight toning and soiling, a few spots and creases. Please see photos for details. Good overall.